Whatever happened to Pak Lah’s all-but-defunct Brain Gain Malaysia? Launched in late 2006 by the Ministry of Science, Technology and Innovation Malaysia (MOSTI), the program was touted to lure returning talent in several prioritised areas targeted by the Malaysian government. Brain Gain Malaysia intended to entice 50 top-tier scientists and 500 – 1000 outstanding Malaysian/ foreign scientists to return to Malaysia by 2010. However, to date the program has failed to generate any tangible success for all its overseas ‘recruitment tours’ at selected universities. In fact, Brain Gain Malaysia’s failure is proven by the ever-increasing migration statistics, which rose from 139, 696 in 2007 to 304,358 from March 2008 til August 2009. All that is left of Pak Lah’s much-publicised Brain Gain program is a now-defunct website and a paper trail of the BN government’s once-flaunted pet project which sunk to obscurity once its creator fell from power. Four years later, the new BN government under Prime Minister Najib Razak has set up a new government agency to tackle the brain drain problem that his predecessor could not address. With a fresh name and a cushy budget of RM30 million (for 2010), the ambitiously named “Talent Corporation” seems to be a recycled version of the Brain Gain Program, albeit packaged differently. Brain Gain Malaysia was limited to specific fields in science and technology, i.e biotechnology, ICT, advanced manufacturing, advanced materials and nanotechnology. Whereas Talent Corp is open to business sectors listed under the National Key Economic Areas in the Economic Transformation Programme, including agriculture, business services and tourism. Returnees having doctorate degrees and two years working experience. This means that the lower the education level, the longer the returnee has to work before he is eligible for Talent Corp’s benefits. In the case of a Malaysian with a diploma working overseas, he must work 10 years before he qualifies for Talent Corp’s Returning Expert program! How many overseas Malaysians have worked in the agriculture sector for 10 years? Making overseas Malaysians wait for up to a decade in a foreign land greatly lessens their motivation to return. Meanwhile, during the interval years, they would presumably have built a life and established their career in a foreign country, costing Malaysia up to a decade of lost contribution in monetary terms. One questions why the long wait to welcome home our own citizens, when many foreign workers’ citizenship applications (especially in East Malaysia) are expedited. If the BN government were serious in valuing its citizens, it would prioritize returning Malaysians of all skill levels. In the interest of human capital development, the process of “balik kampung” should be made easier for returning Malaysians, not more complicated. Clearly Talent Corp’s promise to potential returnees that “as a nation, we value your expertise and contribution now more than ever,” is mere rhetoric it is unable to live up to. Further, in examining the benefits offered by Talent Corp, one finds superficial short-term ‘goodies’ which are hardly enticing or relevant to most ordinary Malaysians living overseas. An optional Flat Tax Rate of 15 percent for employment income for five (5) years. Foreign spouse or children will be given Permanent Resident (PR) status within six months. Foreign born children or children already studying in an international stream overseas are allowed to enrol in any international school of choice in Malaysia. Matching these benefits to the top reasons stated by emigrants in the World Bank Brain Drain Report as their main reasons for leaving, one finds a gaping incongruence. The ‘sweeteners’ offered by Talent Corp are clearly mismatched with the emigrants grouses of inequitable social policies, low wages, and diminishing career prospects. Making it easier for returning families to bring home their pets and cars may be a bonus gesture, but it does not help solve their dissatisfaction with how the nation is being run. Offering such ‘candies’ while sweeping the fundamental problems under the carpet simply will not be enough to bring Malaysians home. In fact, Talent Corp is unable to address the core issues that drive emigrants to greener pastures (i.e social inequity and unfair policies). While allowing returnees’ children to enrol in international schools does afford parents educational options for their children, it also means that their children must further their tertiary education overseas, repeating the cycle of brain drain. Besides, not every returnee can afford to enrol their children in international schools. Many left the country for the very reason that they could not afford quality education for their offspring in Malaysian shores. Clearly, a RM30 million agency is not enough to plug the brain drain. This multi-faceted problem can be mitigated once there is a government in place that sits up and takes notice of the people’s needs and wants. As long as the BN government continues to ignore the will of the people, the rakyat will continue to walk out on a nation they love, for the sake of a brighter future in a foreign land. 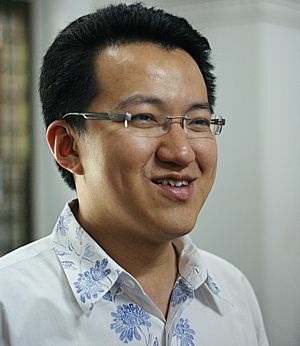 Talent Corp is doomed to fail, predicts DAP International Secretary Liew Chin Tong, as its target group is too narrow. Talent Corp’s selective wooing of outstanding Malaysians does not account for the hordes of blue-collar workers and skilled migrants who are driven away by Malaysia low wages and high cost of living. “Not only do we need the well-educated to return, we need our skilled workers to remain at home,” he says. If Malaysia is unable to hold on to skilled labour, we risk becoming the next Phillipines, he warns. Liew narrates the two-decade-old scenario of the once-booming Filipino economy as a cautionary tale. Widespread corruption led to a widening disparity between the rich and the poor, accelerating its citizens’ migration. Today, Phillipines is an economy kept afloat by repatriation and remittance from its diaspora, Liew told The Rocket. Avoiding this pitfall, Malaysia must hold on to skilled labour by ensuring a decent standard of living for all Malaysians. The vicious cycle of low wages, low productivity and low skill must be replaced by a high income society. This article was written by admin on Sunday, July 3, 2011 at 4:02 pm. You can follow any responses to this entry through the RSS feed. Both comments and pings are currently closed.